Palestinian Authority officials reject US President’s assertion they would get ‘something good’ after embassy move, demand Jerusalem. Senior PA official Ahmad al-Tamimi said the US president’s assertion that he had removed Jerusalem from future negotiations was “a continuation of the US policies in favor of Israel”. 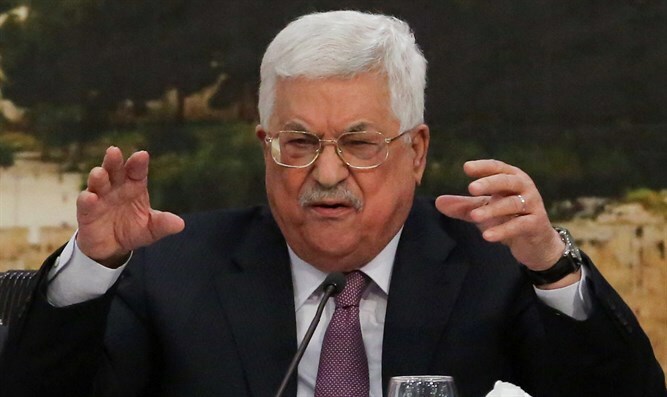 Speaking to official PA news agency WAFA, he added that Trump’s push for a peace deal was impossible without “recognizing east Jerusalem as the capital of the Palestinian state”. The December decision to recognize Jerusalem as Israel’s capital and move the US embassy to the city sparked fury among PA officials, with the political leadership cutting off ties to the US administration. “If there’s ever going to be peace — remember I said it — with the Palestinians, it was a good thing to have done because we took it off the table, because every time there were peace talks they never got past Jerusalem,” Trump said at a rally in the US state of West Virginia. Speaking in Jerusalem on Wednesday morning, Trump’s national security adviser John Bolton said he hoped the PA leadership would move on from the embassy issue. “As a dealmaker, as a bargainer, he would expect, you would expect, I would expect that the Palestinians would say ‘ok, great, so we didn’t get that one, now we want something else, and we’ll see how it goes’,” Bolton told journalists as he wrapped up a three-day visit to Israel. Saeb Erekat, secretary-general of the Palestine Liberation Organisation, rejected Bolton’s comments and said east Jerusalem must be the capital of a Palestinian state. “The words of Bolton are nonsense and don’t correspond to reality,” Erekat said in a statement.